In this episode of the Glad Show I talk with one of my clients, Laureen Ellison, who didn’t only want a new career but a whole new life. We talk about how she consciously created the circumstances for the big leap in her career and life. 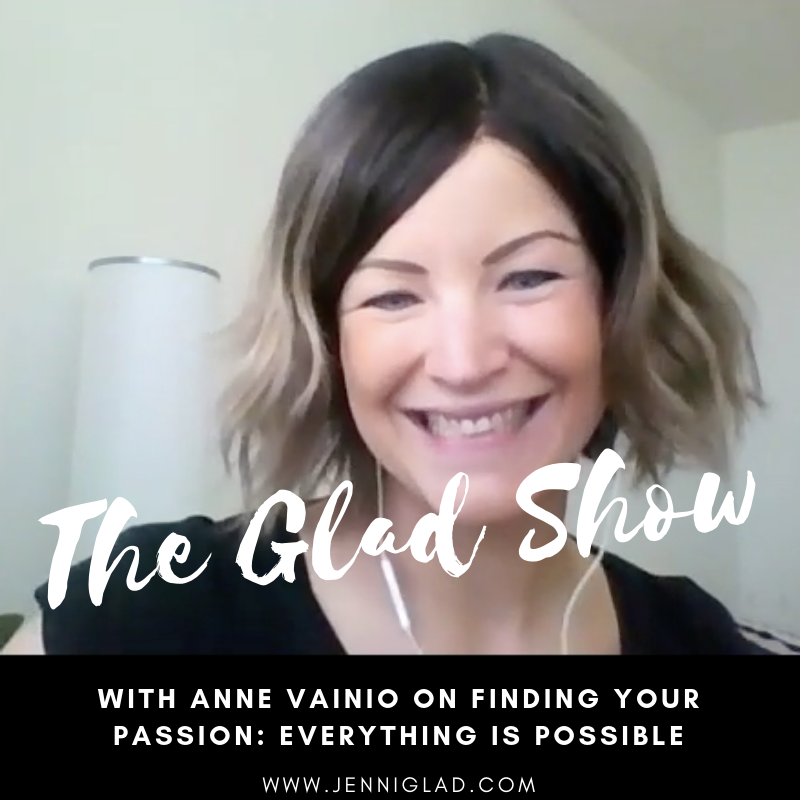 In this episode of The Glad Show, we talk with Chief Happiness Officer, Arnaud Collery, about happiness, passion and the ways you can find and start following your purpose. In this episode Ruby Mitchell joins me to talk about self-healing. She shares her incredible personal journey of how she was able to overcome C-PTSD (complex trauma disorder), brain cancer and a rare, incurable, disease that was repeatedly creating life-threatening tumors in her skull. Dr. Laura Brayton is a holistic chiropractor, author, and speaker, she is extremely passionate about supporting the health and wellness of families. In this episode, Laura shares what she has learned working with women and new moms over the past 13 years. Plus she talks about her own experiences and the challenges she faced becoming a mother. Meg Berry is a wellness professional, alt country singer-songwriter, and mother of three. Meg Berry, a.k.a. Tantra Cowgirl, is the owner of Artful Body studio in New Jersey and teaches classical Pilates, Tantra Core, MomCore and Tantra courses in person and online. 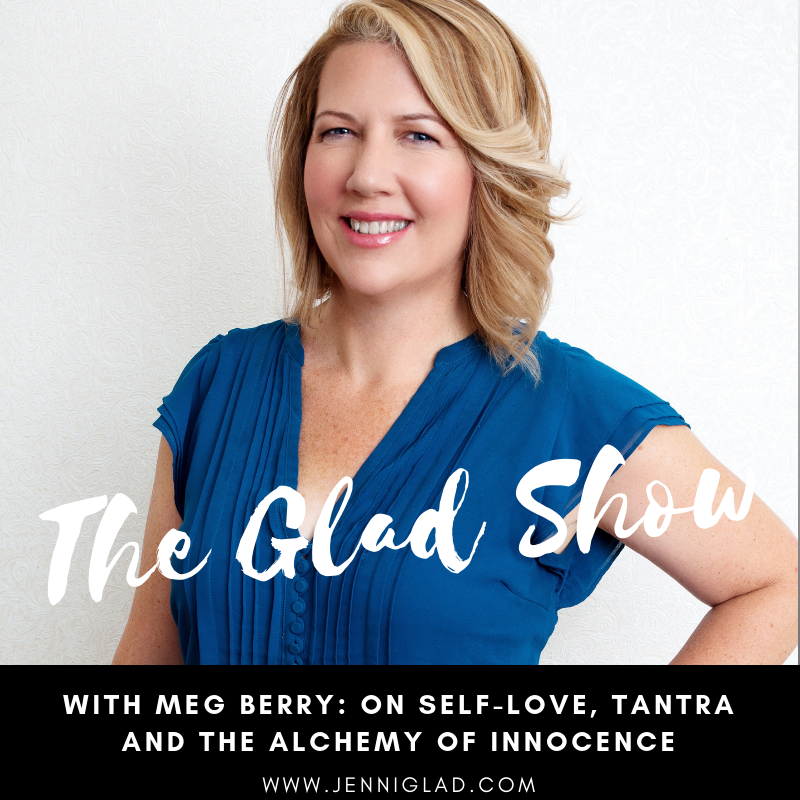 In this episode we discuss Meg's story of how she was able to heal herself and what Tantra is really all about. Alyson Noël is the #1 New York Times bestselling, award-winning, author of 26 novels. With 9 New York Times bestsellers and over 8 million copies in print, her books have been translated into 36 languages and sold in over 200 countries. In this episode Alyson shares how she became a full-time writer and her route to publication. Plus, why you need to take responsibility for your stories, gifts, and skills and make the effort to get them out into the world. In this intimate interview, I talk with Anne Vainio about her unique story. After drastic losses and facing serious health issues she started a journey to the self and shifted from self-ignorance and numbness to self-knowledge and awareness - and built a new foundation for her life. In this episode I talk with Karlyn Borysenko, who is an organizational psychologist, owner, and principal of Zen Workplace. We deep dive into her personal story and how her experiences of workplace bullying eventually led to her founding her own company, signing 6-figure agreements and getting a book deal.